Household hazardous waste collection events can run smoothly while using volunteers when members plan to manage the risks properly. 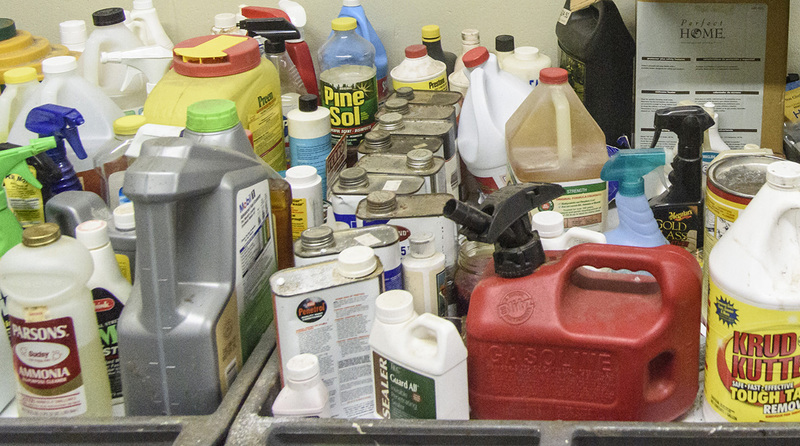 When household hazardous waste collection events are scheduled, organizers of the event should review the various tasks necessary for the operation of the event and determine which positions are appropriate for volunteers and which should only be performed by trained personnel. Due to the inherent risks involved in handling hazardous waste, MCIT recommends that only trained, paid employees or contracted third party waste management employees identify, handle, transport and/or dispose of the waste. This allows organizers to ensure that an employee’s training is up to date and meets the standards established by the law and organizer. It also gives an organizer more control over the site because employees should have knowledge of all the employer’s policies and procedures and be subject to discipline for any violations. Even when a volunteer is trained in the handling of hazardous materials, MCIT recommends against allowing the volunteer to handle such materials. If the organizer is not responsible for the training, there is no certainty a volunteer’s training and/or skills are appropriate for the situation. directing traffic and participant flow. providing general assistance, such as serving refreshments, running on-site errands and emptying trash. Members should provide volunteers personal protective equipment when appropriate. For example, volunteers directing traffic should be given reflective vests to increase their visibility to drivers. When contracting with a third party to organize and run a collection event, members should consider whether it is prudent to supply volunteers to assist in operating the event. If a third party is in charge of the event, members may lose the ability to manage the risks associated with volunteers because the member will not be present to monitor and restrict the volunteers’ activities. At a minimum, a member should establish the requirements that the third party needs to meet in order for the member to supply volunteers. The MCIT Coverage Document does not specifically address liability arising from household hazardous waste collection events. MCIT coverage typically extends to liability claims, subject to the usual conditions, limitations and/or exclusions within the MCIT Coverage Document. Below is a general discussion of how MCIT coverage might respond. Any specific claims are reviewed by MCIT on a case-by-case basis to determine whether coverage would apply. Members are reminded that MCIT excludes all claims for bodily injury and property damage arising out of the actual, alleged or threatened discharge, dispersal, seepage, migration, release or escape of pollutants. The MCIT pollution exclusion is quite broad; therefore, members should consult the Coverage Document and/or contact their MCIT risk management consultant to review the scope of the exclusion. General Liability and Public Employees Liability Coverage: MCIT includes authorized volunteers in the definition of a “covered party” and responds to liability claims on behalf of the member and their authorized volunteers, subject to the terms, conditions, limitations and exclusions contained in the MCIT Coverage Document. Coverage only applies if the volunteer is acting within the scope of their duties on behalf of the member when the loss occurred. Workers’ Compensation: According to Minnesota case law, a volunteer is a person who expects no remuneration or nothing of value for services rendered. This definition is often used to determine whether an injured volunteer is entitled to benefits under the Workers’ Compensation Act (Minn. Stat. Chap. 176). Generally, a volunteer is not covered for workers’ compensation because benefits are based on an employee-employer relationship, which implies compensation. There are some “voluntary uncompensated workers” who are specifically included in the statutory definition of “employee” found in the Workers’ Compensation Act. Most of these apply to state-level public entities, and only a handful apply to counties. In general, members should avoid making payments to volunteers that could cause them to be viewed as employees by the workers’ compensation court system. An injured volunteer could claim that he or she is an employee because the individual received compensation in the form of stipends, bonuses, per diems or gifts, such as a thank you gift. The courts could agree and require that the member pay benefits for the volunteer’s injuries. Personal injuries that occur while volunteering may be eligible for coverage under a member’s medical payments coverage or liability coverage, depending on the situation and the cause of the injury. Auto Liability and Physical Damage Coverage: A fundamental rule of auto liability coverage is that the insurance follows the vehicle. MCIT responds to claims involving volunteers driving member-owned, scheduled vehicles with the member’s express permission and on behalf of or in conjunction with the member’s business. The volunteer’s personal auto insurance must respond to claims that occur while driving his or her own vehicle even when it is to perform work for the member. When the volunteer’s liability limits are exhausted, the member’s nonowned auto liability coverage may provide excess limits for their volunteers as long as the volunteer is driving a vehicle owned by the volunteer or the volunteer’s family member. MCIT does not cover a volunteer’s vehicle for physical damage losses. Property: The MCIT Coverage Document does not cover a volunteer’s personal items unless they are used for the benefit of the member. For example, MCIT would not pay for a stolen mobile phone that is owned by a volunteer and used for his or her personal purposes. On the other hand, there would likely be coverage for the theft of a laptop owned by a volunteer and that was used to perform assigned volunteer duties. Generally, MCIT provides coverage for property owned by the volunteer up to $5,000 subject to the member’s property deductible only if the property is being used for the member’s benefit and it is within 500 feet of a scheduled location with contents coverage. Volunteers’ items used for the benefit of members with a higher value can be added to the member’s property schedule. For members that contract with a third party to operate a collection, MCIT does not provide coverage for claims arising out of contractual penalties, breach of contract or the liability that the other party assumed under the contract. A member may face significant noncovered exposure arising from a contractual obligation. Therefore, MCIT encourages members to require all contracts be in writing. Members should also review agreements for standard risk management provisions, such as hold harmless, indemnification and insurance provisions. In addition, members should consider including a provision regarding volunteer liability. MCIT strongly recommends that members consult with an attorney prior to entering into any contract. articulates the roles of each individual involved, including volunteers. clearly identifies the individual(s) in charge of the collection event, as well as the individual(s) responsible for answering volunteers’ questions. explains what volunteers should do if they come into contact with hazardous waste. provides appropriate personal protective equipment to volunteers and training on its use, as well as a singlet or vest that identifies volunteers. obtains essential information from volunteers, such as name, address, telephone numbers, emergency contacts, etc. advises volunteers that they are responsible for their personal property. explains that volunteers are responsible for physical damage losses to their personal vehicles if applicable. establish and implement procedures for volunteers to avoid contact with hazardous waste or bodily fluids. review emergency plans and procedures, such as fire drills, medical emergencies or waste spills. train volunteers on tasks that they will be expected to do (e.g., traffic control, communications protocols). clearly mark traffic directions, safety rules and drop-off procedures. consider exit interviews with volunteers after the event to determine what worked well and where improvements could be made. Apart from these general risk management and safety recommendations, it is essential that organizers and sponsors of collection events are familiar with the legal requirements and restrictions that govern such collection. The regulations may come from the federal, state and/or local governments, such as the federal Resource Conservation and Recovery Act and the Minnesota Hazardous Waste Rules. These regulations are outside the scope of this article and expertise of MCIT. For technical questions regarding the program, members should contact the Minnesota Pollution Control Agency Hazardous Waste Division. The agency’s website includes general information. For more information about managing the risks of household hazardous waste collection events, members can contact their risk management and loss control consultants at 1.866.547.6516. Originally published July 2017 MCIT Bulletin.